Trump first met Kim on June 12 in Singapore and has been eager to hold a second summit in spite of a lack of concrete progress in persuading North Korea to give up a nuclear weapons program that threatens the United States. North Korean leader Kim Jong Un and US President Donald Trump. U.S. President Donald Trump plans to meet North Korean leader Kim Jong Un in Vietnam on Feb. 27 and 28, Politico reported on Tuesday. Trump disclosed the date in a meeting with television anchors, Politico said. 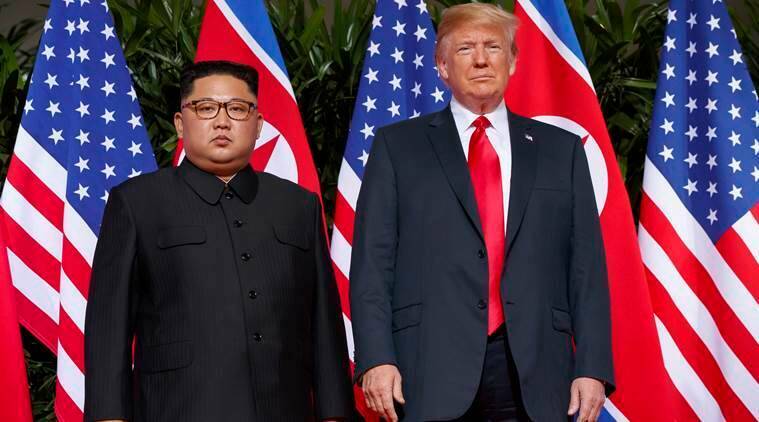 He was expected to announce details of the summit with Kim during his annual State of the Union address to Congress later on Tuesday. It was not immediately clear in which city the meeting would take place. Trump first met Kim on June 12 in Singapore and has been eager to hold a second summit in spite of a lack of concrete progress in persuading North Korea to give up a nuclear weapons program that threatens the United States. U.S. Secretary of State Mike Pompeo visited Vietnam in July and urged North Korea to follow its example, saying Trump believed Pyongyang could replicate Hanoi’s path to normal relations with Washington and prosperity after its own war with the United States.